The art of the Black Panthers constantly receives attention for very good reason. Whether you look at it as activism or propaganda, it is undeniable that it is very well done messaging through art. It's also work that served a wide audience from kids to adults and across the country, and the world. 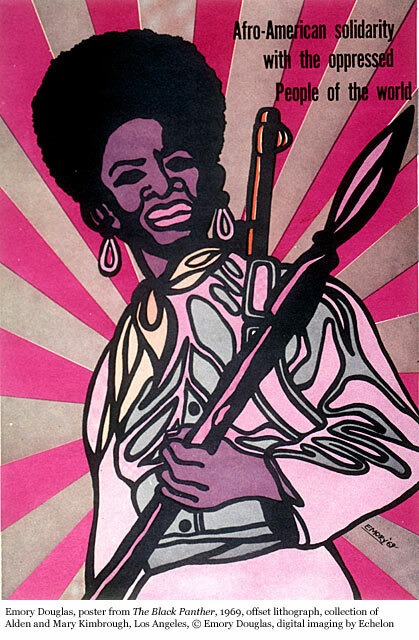 This brief documentary features the artist, Black Panther Minster of Culture: Emory Douglas, discussing the artwork he produced fro the Black Panther Party and the culture that informed his work. Seriously, it's less than 10 minutes. And in this day and age of horrible Saturday morning programming, it features some of the best cartoons (graphic art) you have seen for a while. And yes, as noted elsewhere, this quote is the kicker: "Art has relevancy. Whether it’s to exploit you or pacify you, or enlighten and inform you, it's a language. That's the power of it." If you happen to be on the West Coast, check out the show For more of my random musings on art, check out Art is Now Pop.